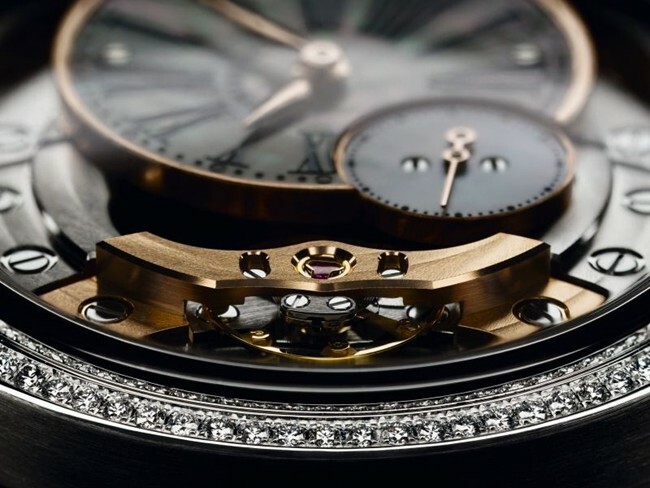 20 years since it was first created by Audemars Piguet, the Millenary is an intricately considered design that reflects the multi-layered nature of the woman who wears it. 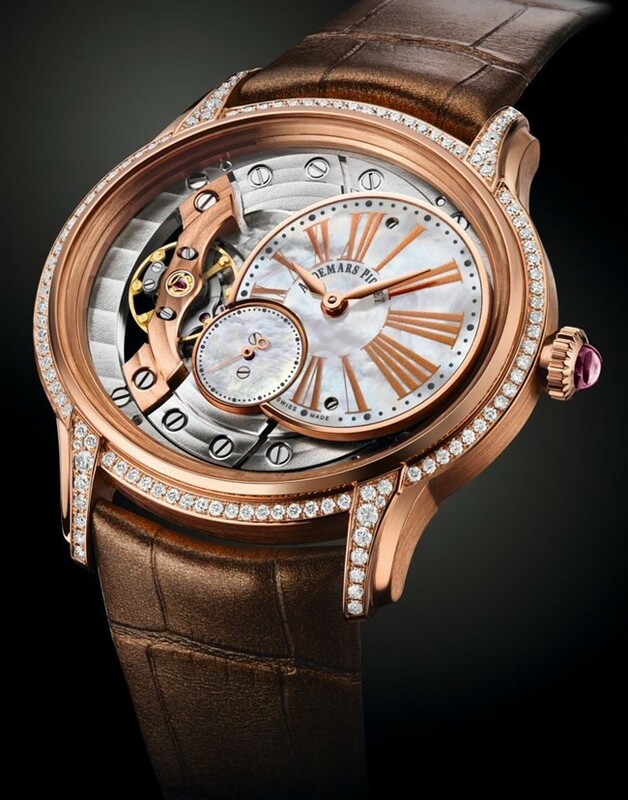 This elegant new addition to the Millenary collection certainly looks different. It challenges perceptions of what women’s watch design can be today. Audemars Piguet’s genuine dedication to creating movements for women is displayed in the new hand-wound Millenary 5201 movement. Three years in the making, its slim, elegant form is a salute to the aesthetic balance that is achieved when old-world artisanship meets new-world design. The new caliber, a hand–wound Manufacture movement where the balance wheel is revealed, beats at the heart of the 2015 Millenary pieces. Its form has been created to fit exactly the intriguing oval case shape that defines the Millenary, a design that follows perfectly, ergonomically, the curves of the wrist. A beautifully engineered timepiece, it has been carefully composed for women by Audemars Piguet’s designers and watchmakers. 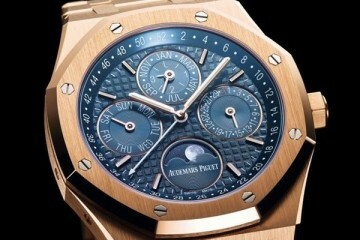 Audemars Piguet women’s watch designs not only echo women’s changing lifestyles but reflect their character. Back at the turn of the 20th century, Audemars Piguet women’s timepieces were highly sought after not just as aesthetic adornment, but more importantly as designs, well thought out and in tune with modern sensibilities. Technically conceived and artfully decorated, the Manufacture offered women watches that were inspired by the influences of modern culture, in the likes of Art Nouveau or Art Deco movements. Today that way of thinking continues – the form and concept of the Millenary is inspired by the influences of modern culture, such as architecture and art. 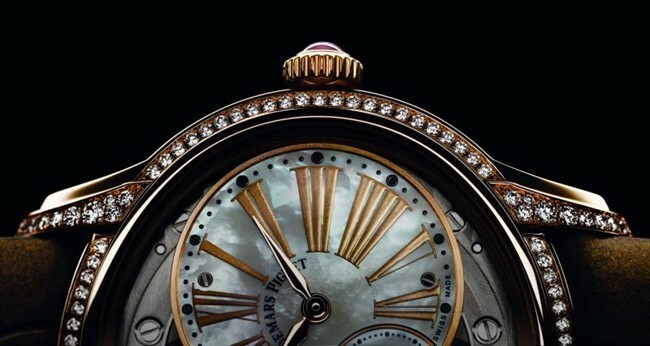 The subtle balance between high watchmaking and high jewelry savoir-faire gives the Millenary its unique character. 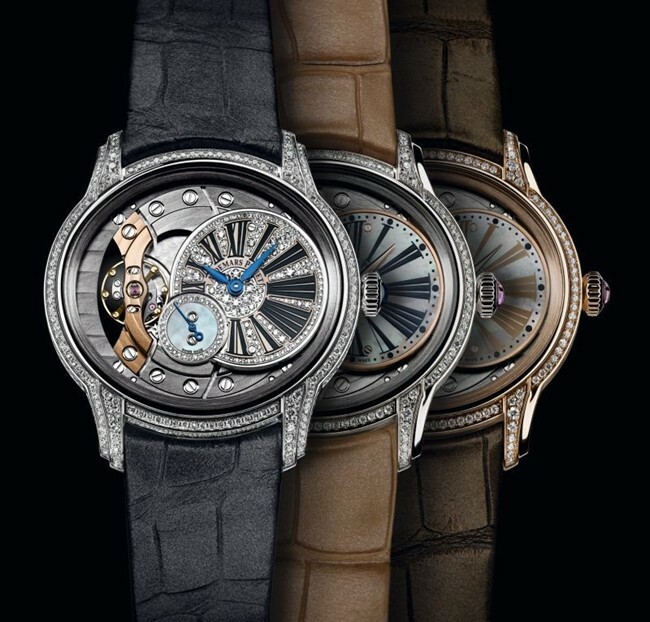 With the new Millenary collection, the Manufacture enhances its reputation for creating women’s watches that are not simply considered for their aesthetic quality but that are designed from the inside out. 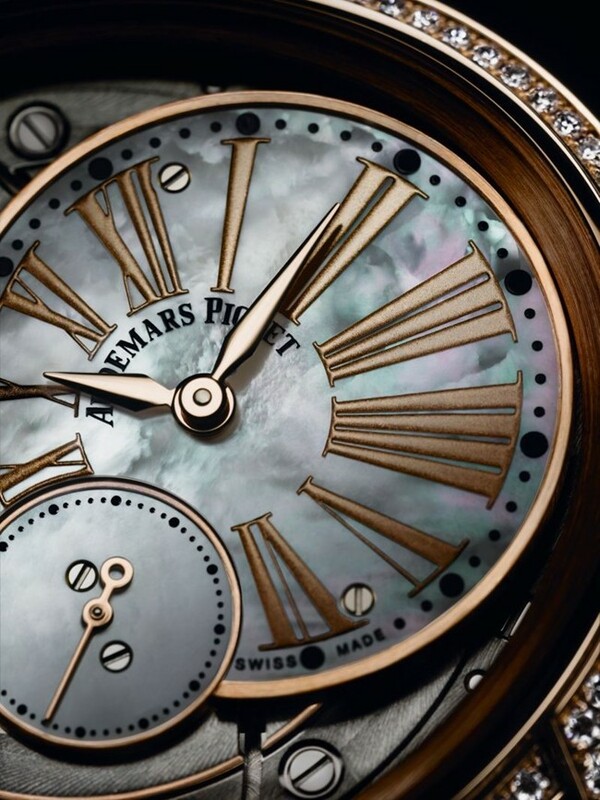 The 2015 Millenary collection is designed to accent the style of the Audemars Piguet woman but never to eclipse it.